With just about a month left before AP exams, how are you feeling about them? Hopefully, you’re ready and confident to score all 5’s. If you haven’t already, check out our 5 Tips for a % on Your AP Exams. 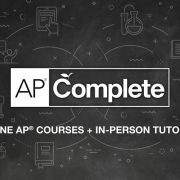 Get some first-hand AP prep before the exams. Join us in April as we host four separate webinars that cover the most popular AP exams. During these live events, you’ll learn the ins and outs of each test and pick up some strategies to maximize the time you have left before the exam. We’ll kick things off with the sciences: Biology, Chemistry, and Physics. Our subject-matter experts will guide you through the exams, covering the content and changes to the tests, suggested review plans and schedules, and strategies for all the different types of questions you’ll encounter. Click here to watch the AP Science webinar recording! Join us as we continue C2’s AP Webinar series with the History Exams: World, United States, and European. Our subject-matter experts will guide you through the exams, covering the content of and changes to the tests, suggested review plans and schedules, and strategies for all the different types of questions you’ll encounter. Click here to watch the AP History webinar recording! Join us as we continue C2’s AP Webinar series with an all Calculus presentation. Our subject-matter experts will guide you through both the AB and BC exams, covering the content on and changes to the tests, suggested review plans and schedules, and strategies for all the different types of questions you’ll encounter. Save your seat! Join us as we wrap up C2’s AP Webinar series with the English Exams: Language and Literature. Our subject-matter experts will guide you through the exams, covering content of and changes to the tests. 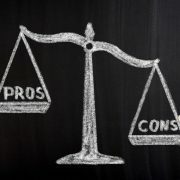 They’ll also suggest review plans and schedules, and strategies for all the different types of questions you’ll encounter. Register now!